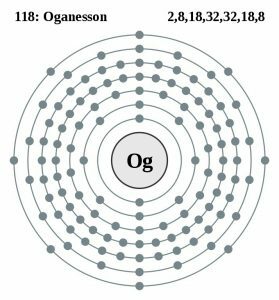 Oganesson (pronunciation: oh-gan-ess-on) is a highly radioactive , artificially produced chemical element, classified as a non-metal, probably belonging to the group of noble gases [1, 3]. Represented by the symbol Og , Oganesson is a comparatively new element . Since it is highly unstable, its atomic structure is quite difficult to study . Its most stable isotope is 294Og, with a half-life of about 0.9 milliseconds, and it undergoes radioactive disintegration through α decay to form 290Lv (livermorium-290) [1, 2]. Oganesson is not known to occur in nature and is artificially produced in laboratories . Who discovered it: Russian nuclear physicist Yuri Oganessian is credited with the discovery of this element . Origin of its Name: It is named after Yuri Oganessian himself, to recognize his research works in transactinide elements [1, 2]. A team of researchers, including scientists at the JINR (Joint Institute for Nuclear Research) in Dubna, worked in collaboration with those from the LLNL (Lawrence Livermore National Laboratory) in California to create the element 118 in October 2006 . The scientists bombarded californium-249 atoms with calcium-48 ions using a cyclotron, producing an isotope Oganesson-294 with a half-life of 0.9 milliseconds and three neutrons . The target atoms of californium were exposed to a total of 16×1018 calcium ions . The discovery of Oganesson was confirmed by the IUPAC in 2015 through further experiments . 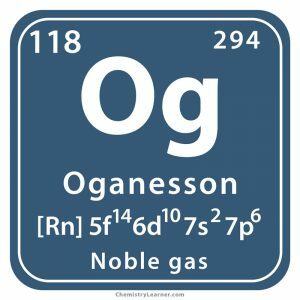 Oganesson is not a naturally occurring element and has only been synthesized in small quantities, making it useful only for basic scientific research [1, 5]. 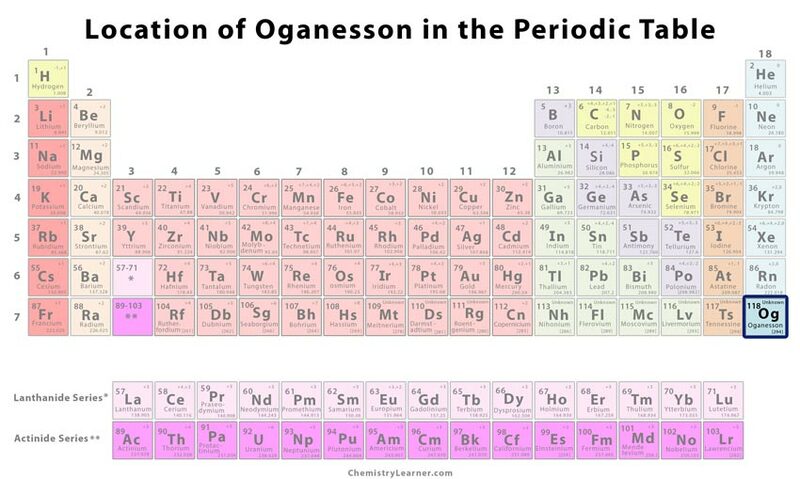 Because of its high radioactivity, Oganesson can be harmful to humans and other living organisms . Oganesson was assigned a placeholder name “Ununoctium” with a symbol uuo, meaning one-one-eight in Latin, indicating its atomic number . Oganesson is sometimes indicated by a 3D graphic representation of the island of stability, as it is one of heaviest elements showing the possibility of superheavy elements reaching stability at some point .